Vivienne Westwood Anglomania 'Callas Kilt''. 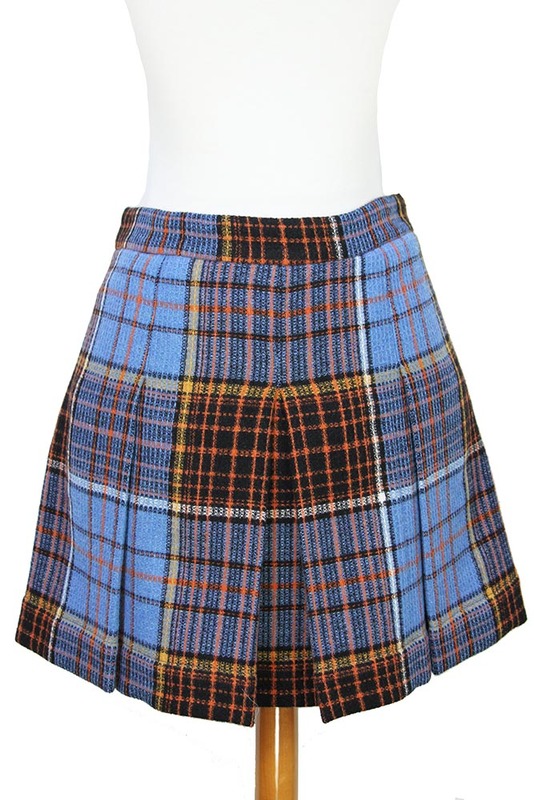 Short kilt in blue tartan, wonderful! 2 button fastening at waist. Flap and box pleat at front. Box pleat at the rear. Partially lined. A great garment in a wonderful fabric.